Be part of the Midsummer magic and drink a toast to freedom. Guests are welcome to camp overnight in the festival tents or to bring their own floating ground rules here. Floating Grounds is a wonderful opportunity for the artists to meet and exchange ideas for the Free Fringe Festival Amsterdam and to generate publicity for the events. Future Vision Amsterdam will be recording interviews and other footage for inclusion in the arts and underground culture programme which goes out on SALTO 1 (UPC Channel 32) Wednesdays 18:00 - 19:00. The programme of short theatre, music, AV performances, dance, animation & film will run from 20:00 and on into Midsummer's Night, staged in beautiful podium tents supplied by Tatteljee. 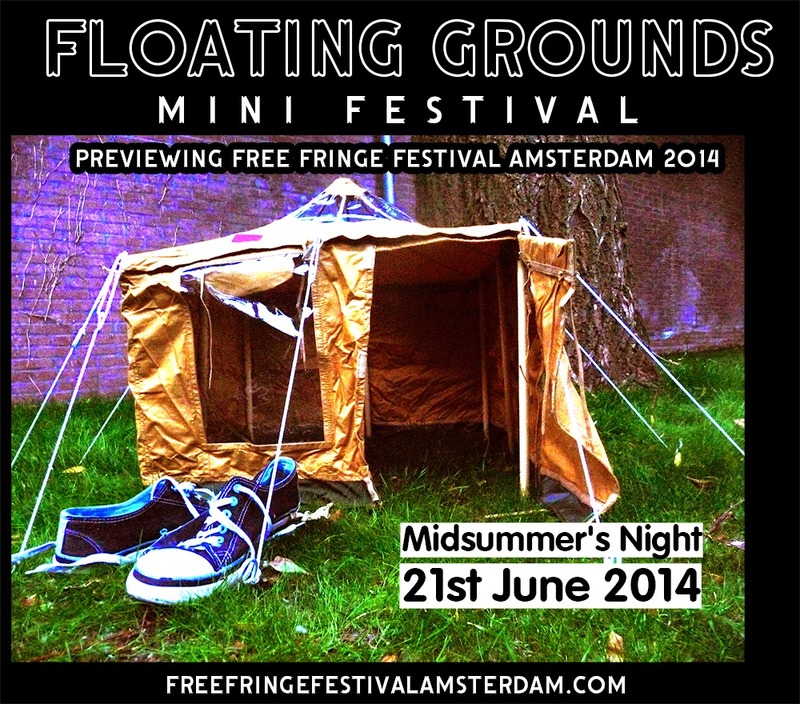 Come and find out what the Free Fringe Festival Amsterdam is all about. Free Fringe Festival Amsterdam is not your usual shovel load of shite. Now in its 3rd year, Free Fringe Festival Amsterdam is a genuinely diverse multidisciplinary arts festival showcasing Amsterdam's REAL Fringe scene. The best of independent, cutting edge art and performance and all for FREE - Are they CRAZY? Join the fun 4 – 14 September 2014 at De Vondelbunker and other city-wide locations.